We've been waiting for a borderless smartphone to arrive, that will sport just a screen with no unused margin space - and it seems like Sharp is getting there... at least on three sides. 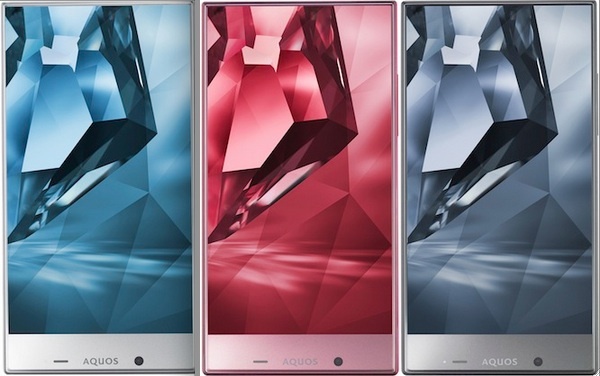 The Aquos Crystal is a range of smartphones that virtually says goodbye to the bezel in all sides except the bottom. The base model is a 720p 5" smartphone with a Snapdragon 400 CPU. 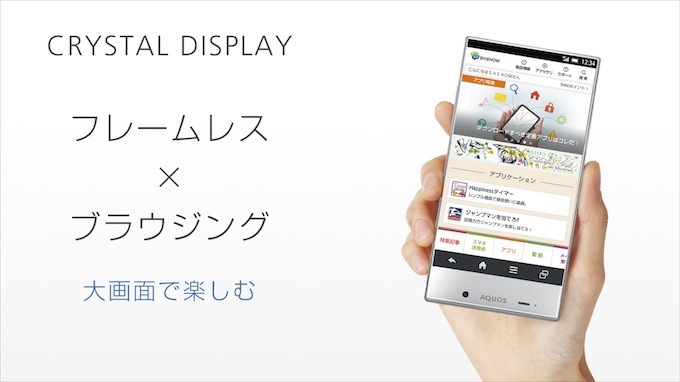 Then we have the enhanced Aquos Crystal X, with a 5.5" 1080p screen and a more powerful Snapdragon 801 CPU. Although other manufacturers, like LG, have been shaving away the bezel size, the Aquos Crystal seems to be the first that use a single pane of glass on top of the device, with no borders whatsoever.